A day after Beatles song Across the Universe was beamed into Deep Space, The Beatles' famed guru, Maharishi Mahesh Yogi (born Mahesh Prasad Varma) has died (February 5th). He was thought to be 91. Maharishi Mahesh Yogi introduced the Transidental Meditation technique 40 years ago and brought enlightenment to millions of people in the world. The Beatles helped further his teachings by touting the benefits of meditation after visiting his ashram in India in 1968, but they had a notorious falling-out with him after they were discovered doing drugs at his retreat. On January 11th, 2008, he announced his retirement from his normal activities: "Invincibility is irreversibly established in the world. My work is done. My designated duty to Guru Dev is fulfilled." He resolved to use all his remaining time to complete his commentary on the Veda. He passed away less than a month later. 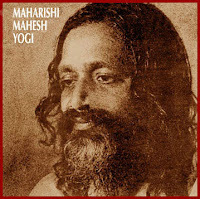 Maharishi had a truly amazing life and if I started to type about it, I could be here for a long time. There are many websites full of information about his work out there. Amongst all of the information about him, interestingly enough Maharishi held a degree in Physics from Allahabad University. Who would have thought back in 1968 when The Beatles went to India and hung out with him that he would have outlived Harrison and Lennon? DIG, LAZARUS, DIG!!! Myspace album exclusive! Who Was At Number One When You Were Born? Internet-powered Musicians -Where's the Beef? Marky Ramone Condoms - Hey Ho Let's Go! AmpLive, Yeasayer And A Trip To The Hospital? "I Don't Want Your Money Honey I Want Your Love"
"To Terrible Love Songs from Anton Corbijn"
Anti-Nazi Gig Will Be "Biggest in Years!" David Jordan Is Following Me EVERYWHERE I Go! Slow Kylie down and you get... George Michael! From New York Boston! From New York Boston! Bring the noise to London Public Enemy! Who's doing what to Matt Damon? "Send my love to the aliens. All the best, Paul"